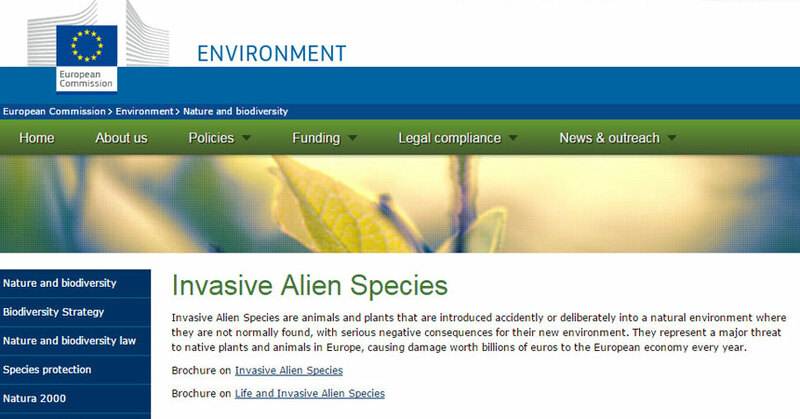 On July 14, 2016, the European Commission adopted its first list of invasive alien species of concern to Union member states, in an effort to halt biodiversity loss. This list is the core of the EU Regulation on invasive alien species, which entered into force on 1 January 2015; it was drawn up on the basis of strict criteria and scientifically robust risk assessments, and approved by a Committee of Member State representatives. EU member states will be required to observe restrictions on keeping, importing, selling, breeding, and growing any of the invasive species and take measures for early detection and rapid eradication. They must also manage species that are already widely spread. The current list of invasive alien species that fall under this regulation includes 14 plant species and 23 animal species. All of the plant species are on the European and Mediterranean Plant Protection Organization’s (EPPO) A2 or Invasive Alien Plant lists, and one, Lagarosiphon major, is also on the U.S. Federal Noxious Weed List. You can find a Lagarosiphon major fact sheet in ITP’s Federal Noxious Weed Dissemimules of the United States. Generic level fact sheets for several more of the plants on the list (Cabomba, Eichhornia, Hydrocotyle, Myriophyllum, and Persicaria) can be found in ITP’s Aquarium and Pond Plants of the World.